Why call Clean Slate Landscape & Property Management, LLC for your Lawn Care? Professional – When lawn care services are needed, look no further than Clean Slate Landscape & Property Management, LLC. In business since 2000, Clean Slate Landscape & Property Management, LLC knows how to get the job done and treat our customers right. Flexible – Clean Slate Landscape & Property Management, LLC knows that most people have busy schedules to adhere to on a daily basis and this is why we offer flexible lawn care hours. Customers who desire lawn care service on their schedule are sure to be pleased with the flexible hours which we offer. Affordable – Lawn care doesn’t have to break the bank and the lawn care services offered by Clean Slate Landscape & Property Management, LLC are quite affordable. 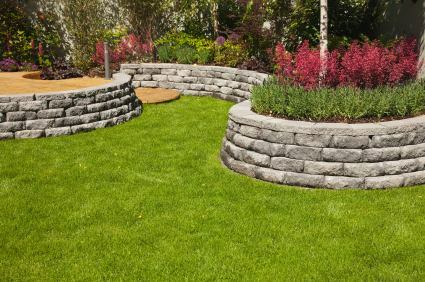 We know that a beautiful landscape is what many homeowners crave and you don’t want to spend a fortune on achieving this goal. With our services, you won’t have to. If visions of a lovely green, well-maintained yard is what you are looking for, then give Clean Slate Landscape & Property Management, LLC a call at (508) 669-7959 today. Our staff will evaluate your lawn care needs and help you to find a plan which suits your individual situation. Contact us to see how we can help you restore the luster to your lawn and put a smile back on your face for good.